In this tutorial I will demonstrate how to connect to SOLIDWORKS application from out-of-process (a.k.a Stand-Alone) application (e.g. 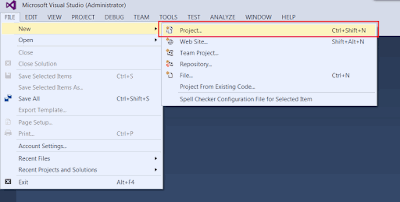 Windows Forms, Windows Console) using C# and Microsoft Visual Studio. For more detailed explanation of the approaches discussed in this article please read the Connect To SOLIDWORKS From Stand-Alone Application article. Add reference to SolidWorks Interop library. Interop libraries are located at SOLIDWORKS Installation Folder\api\redist\SolidWorks.Interop.sldworks.dll for projects targeting Framework 4.0 onwards and SOLIDWORKS Installation Folder\api\redist\CLR2\SolidWorks.Interop.sldworks.dll for projects targeting Framework 2.0 and 3.5. 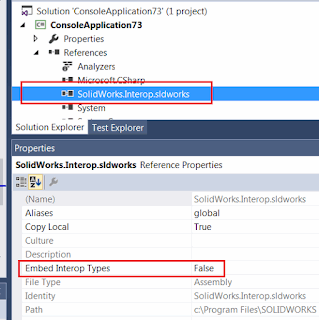 For projects targeting Framework 4.0 I recommend to set the Embed Interop Types option to false. Otherwise it is possible to have unpredictable behaviour of the application when calling the SOLIDWORKS API due to a type cast issue. Now we can add the code to connect to SOLIDWORKS instance. Probably the most common and quick way to connect to COM server is using the Activator::CreateInstance method. This method will construct the instance of the type from the type definition. As SOLIDWORKS application is registered as COM server we can create the type from its program identifier via Type::GetTypeFromProgID method. Please read the Connect To SOLIDWORKS From Stand-Alone Application article for explanations of limitation of this approach. Alternatively you can connect to active (already started) session of SOLIDWORKS using the Marshal::GetActiveObject method. This approach will ensure that there will be no new instances of SOLIDWORKS created and will throw an exception if there is no running SOLIDWORKS session to connect to. 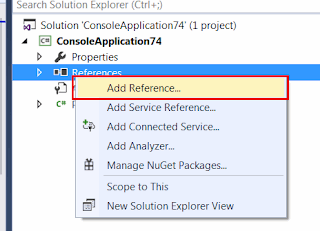 In order to connect to already running specific session of SOLIDWORKS or to be able to create multiple sessions you can use Running Object Table APIs. Please read the Connect To SOLIDWORKS From Stand-Alone Application article for more details about this approach. In the above example new session of SOLIDWORKS is launched by starting new process from SOLIDWORKS application installation path. StartSwApp function requires the full path to sldworks.exe as first parameter and optional timeout in seconds as second parameter. Timeout will ensure that the application won’t be locked in case process failed to start.